Just covers for you this month. And we kick off with my biggest miss of the month. 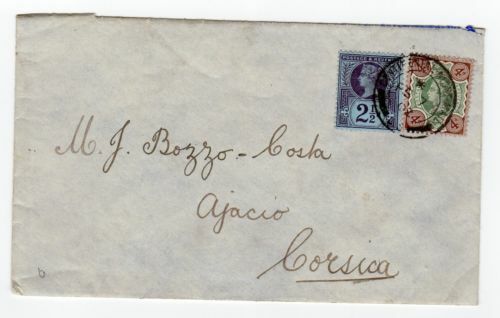 Not only is it a scarce cover sent by the Continental Night Mail service, but it is also the only example of a Jubilee cover going to Corsica that I ever seen!! It sold for a poultry £69.60. Doh! Although completely philatelic, since I hadn’t seen one before I thought it was of note to point out this item. The envelope is franked with a 1 1/2d and 2 1/2d Jubilee tied by the Guildhall Jubilee cancel, which isn’t too unusual. However this cancel is actually from the B.P.S Exhibition held at the Guildhall London 1966! Obviously didn’t go through the post but an interesting curio nevertheless. It sold for £8.95. 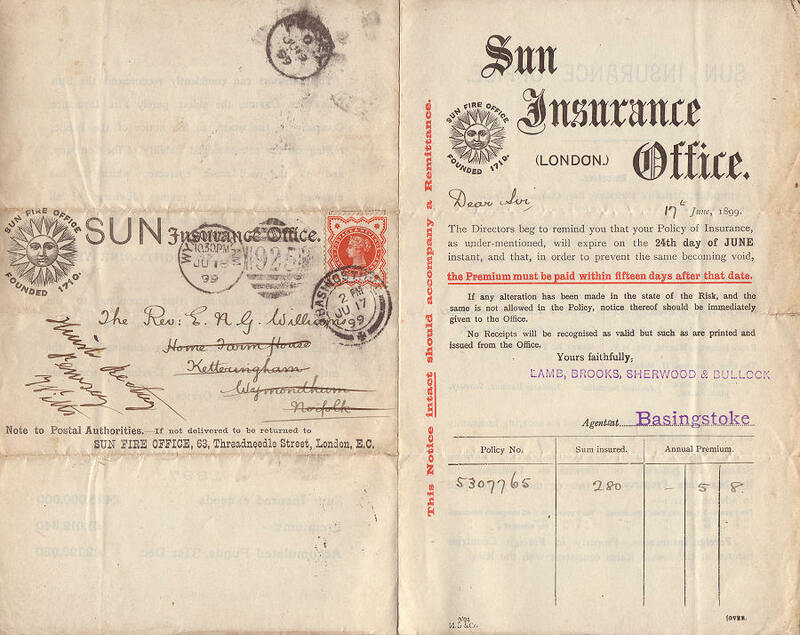 Next up is this highly attractive printed cover sent by the Sun Fire Office as a reminder to the recipient to pay their premium. I expected it to fetch more than £10.56. 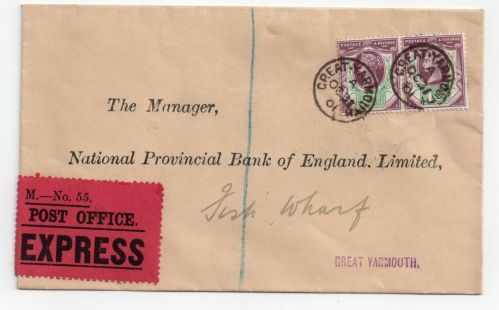 This cover is a very attractive example of an Express cover with a pair of 1 1/2d Jubilees. More info about the Express post can be found in this article. It fetched £49.22. And finally a cover sent during the Boer war. 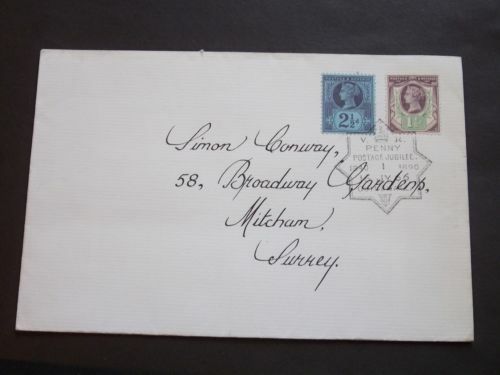 More unusual however is that it was sent without stamps due to their unavailability. 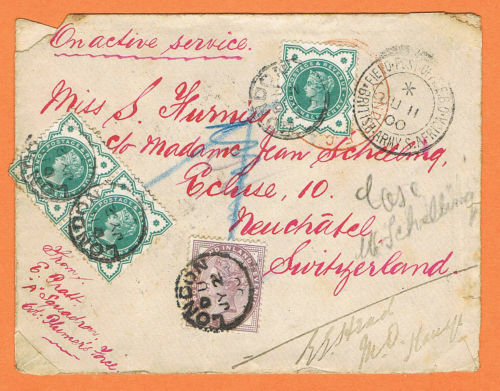 Most mail from the Boer war was addressed to England, but this item was actually intended for Switzerland and hence franked by the Post Office in London for the onward journey by three 1900 1/2d greens and a 1881 1d lilac. Obviously more uncommon than I realised as it sold for £83.86. One of the largest collections of Great Britain ever to be sold in one auction went by largely unnoticed in the city of Basel in Switzerland on June 7th and 8th. Although the repercussions of this auction are still being felt throughout the GB philatelic world for all the wrong reasons. Hosted by Galerie Dreyfus, several significant items (and unfortunately several significantly dodgy items) in British philately went up for sale as only 10 or so people filled the room to bid on an estimated €4’000’000 worth of material. This of course made me very optimistic about snapping up some bargains when the few Jubilee issue items came up for sale.